A London Tour with a tranquil twist - take a Kayaking Tour of London on the river Thames. Paddle past palaces and soak up the sights and sounds with this 90 minute London kayaking tour. Treat yourself and your loved ones to a London Tour with a difference, with this superb London Kayaking tour at Hampton Court. This experience shows you London from a whole new perspective, and is suitable for everyone - whether you have ever been kayaking before, this paddle is a doddle! You will make your way along the Thames at leisure enjoying, from your unusual vantage point, the sights and sounds of London's often elusive wildlife! Upon arrival you will be met by your friendly and experienced British Canoe Union Instructor who will give a briefing and allocate all equipment. 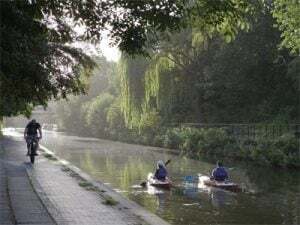 Then it’s into the water, where you will kayak upstream through the Molesey lock dating back to 1815, passing fine houseboats, small islands and a variety of wildlife. On the way to Taggs Island you will view the famous Garrick Temple honoring William Shakespeare. You’ll even pass the historical Hampton Court Palace - once home of King Henry VIII. During the tour your instructor will give you information of the local area and history. The experience lasts around 90 minutes. The tour begins and ends at the same location in Thames Ditton. This Hampton Court Palace tour by kayak can be booked on a selection of dates throughout the year - usually a few times per month (subject to availability). Children under 12 years of age must be accompanied by an adult (either taking part or walking alongside). Participants should be able to swim 10 metres, however the nature of the kayaks and the type of experience this is makes getting wet highly unlikely! Upon booking, the centre must be made aware of any medical conditions which may affect your ability to take part. Unfortunately, expectant mothers will not be permitted to participate. The Thames River Kayaking Tour will last for 90 minutes, but expect the entire experience to last for approximately 2 hours. You will depart from and arrive back to the same meeting point in London. 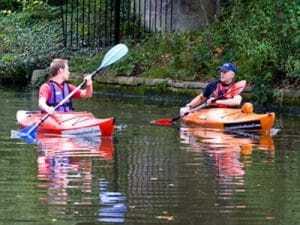 Participants: The Thames River Kayaking - Hampton Court Palace is for 1 participant. Spectators can stroll along the footpath and watch - but it's far more enjoyable to get involved in the kayaking! Minimum Group Size: 4 participants needed in order for the tour to go ahead. All safety and kayaking equipment including life jackets is provided by the centre. Wear comfortable clothing that you don't mind getting dirty/damp, with a rain jacket if necessary. Avoid jeans if possible. Bring a spare change of clothes for afterwards - there are no shower facilities but you may wish to change in the toilets. The London kayak tours may be cancelled due to certain extreme/unsafe weather conditions. If you are in any doubt, please contact the kayak centre before setting off for your tour, to confirm whether tours are running. 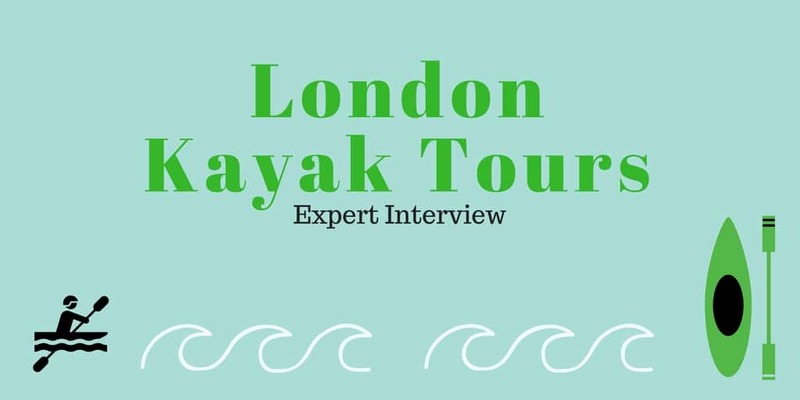 London Kayak Tours: An Expert Interview. We’ve been catching up with Laura from London Kayak Tours who has told us a little more about the drive behind the company! It seems Kayaking is the ideal activity for dating – keep reading to find out more! Q. How did your passion for Kayaking begin? A. I am from New Zealand, so typically like the outdoors and have kayaked from an early age in NZ! I like the pace of kayaking, it is adventurous and different without being too difficult for anyone. I like that it is ideal for novices and open to anyone trying out something fun, unique and active. Q. What would you say is the best thing about seeing London from a kayak? A. Seeing London from a kayak offers a completely unique view of the wonderful capital. It is a great place to observe the hustle and bustle of the city, whilst paddling gently down the river. The river offers a much slower pace and is much more peaceful. It is also a great position to observe some world-famous historical landmarks such as Windsor Castle and Hampton Court Palace. We see everything from a unique angle. Q. What do you enjoy most about working on the River Thames? A. It is great to do an activity I love and make a successful business out of this passion. I enjoy watching the changing seasons from a river view as well as being able to have an up-close view of river wildlife. It is fantastic being able to race alongside swans, kingfishers and ducks. Q. Do you have any funny/ embarrassing stories to share? A. We have had two marriage proposals and regularly take out stags and hens for their fun day out. We have had some good dating stories, some successful relationships. We had one gentlemen bring a few different dates out kayaking with us. It was like his regular dating venue for a while. Q. Have you ever had any celebrities take part in the tours? A. Yes, we have had Natalie Imbruglia, Sunita Shroff and Emma Catherwood previously from Holby City. Q. Is there anything you would like to add or share that has not been covered? A. If you haven’t been on a London Kayak Tour then you must! Our visitors have given us some great reviews on Trip Advisor. Do have a look at these and some of our pictures and videos at www.londonkayaktours.co.uk. We continue to have fun with this business and encourage everyone to try this at least once! We would like to say a massive thank you to Laura for taking the time to answer our questions. If you would like to start your London kayaking adventure – choose from three different locations: Tower Bridge, Regents Canal or Windsor!